In his third public interview, Huawei’s founder Ren Zhengfei used a rare media roundtable to vouch that his company does not spy on behalf of China and that he deeply misses his daughter. “No law requires any company in China to install mandatory back doors,” the 74-year-old former Chinese army officer said to several reporters. He denied that Huawei was forced to abide by China’s new national security law. Huawei has recently been under the microscope after its global chief financial officer Meng Wanzhou was arrested by Canadian authorities in Vancouver on fraud-related charges. Meng was granted bail but currently faces extradition to the U.S. The U.S. reportedly said Ren’s daughter deceived international banks to funnel transactions between Huawei and Iran. Meng has maintained that Huawei has no connection or involvement. At the time of her arrest, Canadian authorities said the country has a rule of law and an independent judiciary, and that Meng must comply with a judicial proceeding before she could be released. FT reported that Ren has only given two previous public interviews, both times to assuage clients and the public of any connection between Huawei and cyber espionage. The talk is the first time Ren has spoken publicly since his appearance at the World Economic Forum in Davos three years ago. At the roundtable media event, Ren noted that he loved his country but would never harm other countries. “I still love my country, I support the Communist Party, but I will never do anything to harm any country in the world,” he said, adding he models himself off of U.S. tech giant Apple when it comes to protecting privacy. Most recently, Apple’s CEO Tim Cook noted that he was not afraid to travel to China or that the country might detain him in retaliation for the arrest of Meng. It has been reported that U.S. president Donald Trump might announce an executive order that would block local companies from buying equipment from foreign telecommunications manufacturers if they pose a national security threat. This would come after the country banned Huawei in August 2018 from supplying 5G networking equipment out of fear of a national security breach. Following the ban, Australia and New Zealand followed suit and also banned the telecommunications provider from supplying 5G equipment. Though during the interview, Ren spoke highly of Trump and called him a “great president.” He added that his tax cuts have been good for companies operating in the U.S. market like Huawei. But Huawei is still scrutinized heavily on its research and involvement in 5G technology. 5G is considered the next iteration of mobile connectivity and the successor to 4G Long-Term Evolution (LTE). Although the technology’s exact purpose remains a continually evolving question, it has a variety of theoretical objectives, including significantly faster smartphone data connectivity, autonomous vehicles, smart home devices and, particularly in a Canadian context, improved rural fixed internet connections. FT reported that Huawei expects revenues to rise 20 percent this year to $120 billion USD, which would make it one of the largest research budgets in the world. Huawei has said it plans to spend $20 billion a year to stay ahead of its competition. In Canada, Huawei Canada has been in the country since 2008. The company most recently released its Mate 20 Pro, for which ads can be found on highway billboards, plastered on the walls of malls and even prominently on display during Hockey Night in Canada, of which the company is a title sponsor. The company specifically forged 5G-related research partnerships with several notable Canadian universities including Carleton University, the University of Waterloo and the University of British Columbia. Huawei is also heavily investing in helping Bell and Telus build out their 5G infrastructure, though it remains unclear exactly how far along these efforts are. On the evening of January 14th, 2019, the company quietly released a testimonial-like video that included interviews with various employees at the company. Elmira Amirloo, a researcher at Huawei Canada, stated in the video that Huawei Canada is working towards getting more industrial partners. “We have the universities, but we don’t essentially have the industrial partners to back it up, so I think Huawei is doing that and it’s great for Canada,” she said. Before stepping down from his role, vice-president of corporate affairs Scott Bradley spoke to MobileSyrup in one of his last interviews. 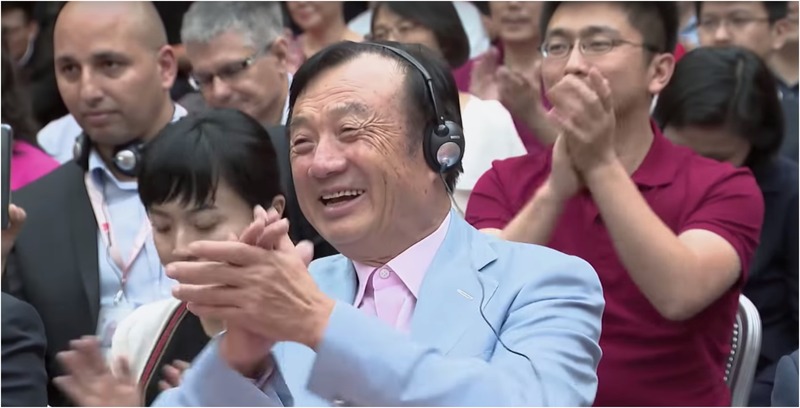 He stood strongly behind the company and said that the work Huawei does is vital to Canada. He vouched for the Huawei and noted that it would affect all the research the company has done if Canada decides to ban its involvement from the country’s burgeoning 5G infrastructure.